Future can provide a chauffeur driven vehicle from the state of the art prestige vehicle with toughened privacy glass to a luxury stretch limousine or a combination of both for the full VIP's package. 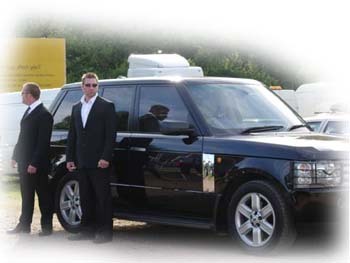 We can offer a basic package from a single bodyguard trained driver, to a full protection team following in the vehicle behind and in front. All packages hold different costs and you will be surprised at our affordable rates. 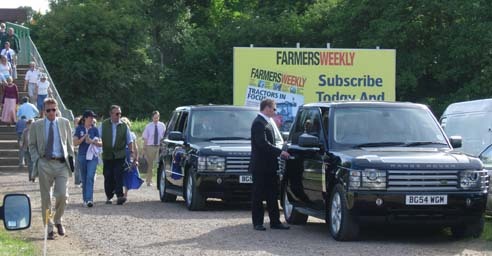 Unfortunately the general perception of a "Bodyguard" could be defined as " A THUG IN A SUIT " due to the odd persons portrayal of our profession and the activities of certain celebrity bodyguards who with shaven heads, dark glasses and bulging biceps cause mayhem and poor publicity wherever they go, many have little to no training or qualifications and being kind probably don't know any better. Personal Protection Officers from Future are chosen with care and we insist on the very highest levels of personal presentation, behaviour, Integrity and intelligence. Future Protection Officers have a military or police background or have completed extensive training in all matters relating to our profession and hold valid licenses with the SIA and the BIIAB. The first directive of your PPO is to protect the life of his / her Principal, this directive is far easier to say than to achieve. Your PPO has to have the ability to carry out relatively routine and mundane daily tasks whilst staying alert to the hazards they may encounter at which stage they have to react instantly, correctly, sometimes courageously and with regard to the protocol at that moment. Hardly the job for " A THUG IN A SUIT " We are able to provide peace of mind whilst on Vacation / Business, feel the need for additional protection in a strange city or country or have a long term complex requirement, Future can develop a solution.